For two wonderful years, I was a faculty member at Xavier High School in New York City. Although no stranger to Jesuits and Jesuit education, I admit I knew little of the man whose name was emblazoned on signs, stationery, and sweatshirts around the school. You (like I did!) can read about his life here, but I’ll admit that much of what I now appreciate about the patron saint of missionaries came from an encounter with his spirit and legacy in the school’s Companions of St. Francis Xavier (CFX) service program as a faculty chaperone. Accompanying students to Robbins, Tennessee and Tijuana, Mexico for several weeks each summer, I learned of what it means to rejoice in the Good News of Jesus Christ. 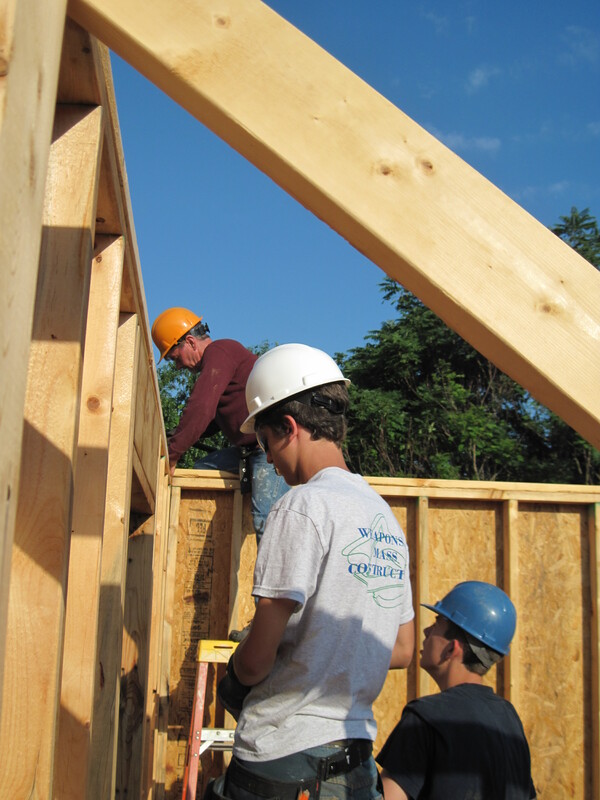 Members of the sophomore and junior classes, many strangers to each other or mere acquaintances, fundraised to spend a week of their summer living in community together and extending that fellowship with those whom they met and with whom they worked in the course of construction projects coordinated by Habitat for Humanity Appalachia and Esperanza International. The initial naïve enthusiasm or guarded reticence that each of us possessed was challenged through an encounter with the “other.” Presuppositions about “the poor” and “the less fortunate” were transformed into relationships of solidarity, friendship, and collaboration as both students and faculty experienced the vulnerability of being themselves sojourners in strange lands and experiencing the hospitality of those communities and their rich cultural traditions. 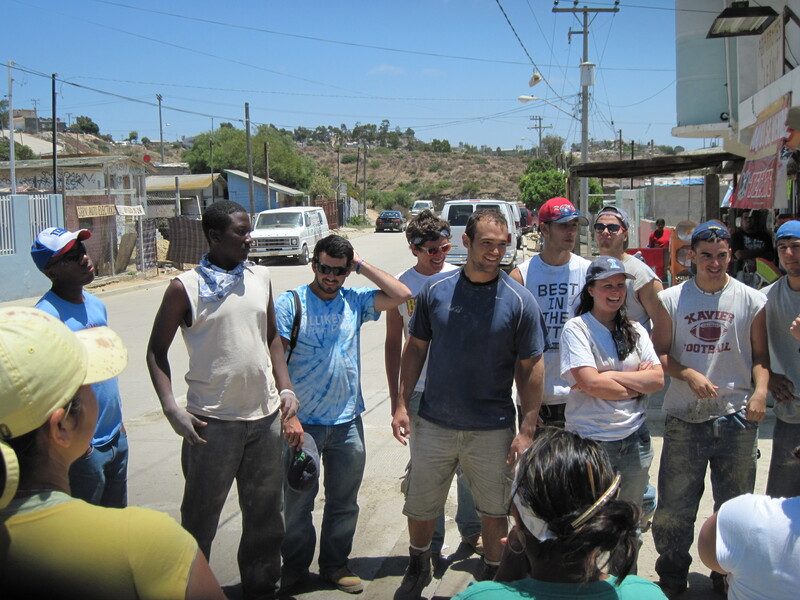 Rather than saving the people whom we sought to serve, I and my student and faculty companions experienced with our new companions in Tennessee and Tijuana the salvation of Jesus’ great love for all persons regardless of religious creed, gender, or ethnicity. The Good News of our reconciliation with one another and with God was lived in every nail hammered, cement block laid, and meal shared in the hot sun of the southern summers. We sang of God’s goodness through our sweat. St. Francis Xavier’s witness carries the experience of St. Paul and the early missionaries for Christ to his own time and stands as a sign of hope for us today, missioning in word and deed, that Christ speak to all by all means to save all. The challenge to conversion that places oneself at the service of the Gospel in word and deed rather than self-preservation is already lived and bearing firstfruits in many associations and ecclesial initiatives beyond that of CFX and other service-immersion programs at Jesuit high schools like Xavier. Like their counterparts in high schools across the country, Jesuit Volunteer Corps has been inviting its missionaries for over 50 years to forsake complacency and self-preservation and “be ruined for life” through loving solidarity with those on the margins of our society. Catholic Relief Services extends the humanitarian concern of the American Catholic churches throughout the world in going where the need is greatest to serve with faith, hope, and charity. Across the world and in our own local communities we are called share the joyful experience of Christ’s friendship with one another, making friends with others by way of inclusive, non-sectarian agendas. We, like St. Francis Xavier, have received a missionary option and call to share the joy of the Gospel in word and deed. Will you be sent? Will you break the Body of Christ, which you yourself receive and become in communion, with and for others? This is great, Marc! Shared via Twitter and Facebook with the larger Xavier community!